While Singapore is burning up, no thanks to this accursed weather, I still find the appetite for Thai food. 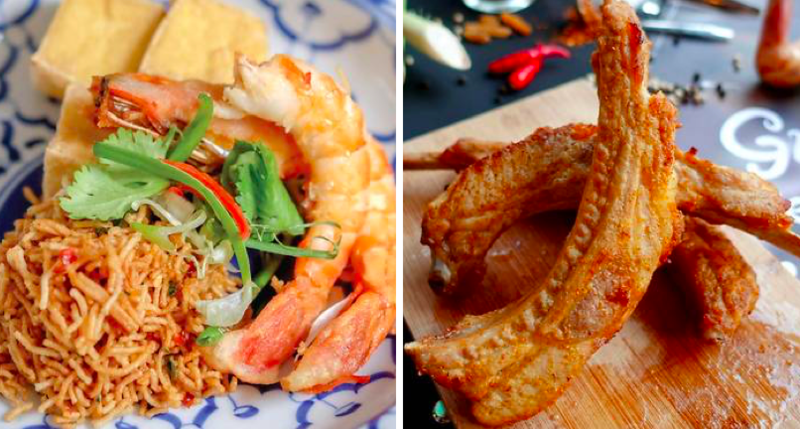 If you’re a big fan of Thai cuisine, then you’ll be happy to know that the Chang Sensory Trails Food Festival is back for its third edition at The Lawn @ Marina Bay! Organised by Thai beer brand, Chang, the food festival spans 3 cities in 3 continents and features our 3 favourite things – food, art and music. 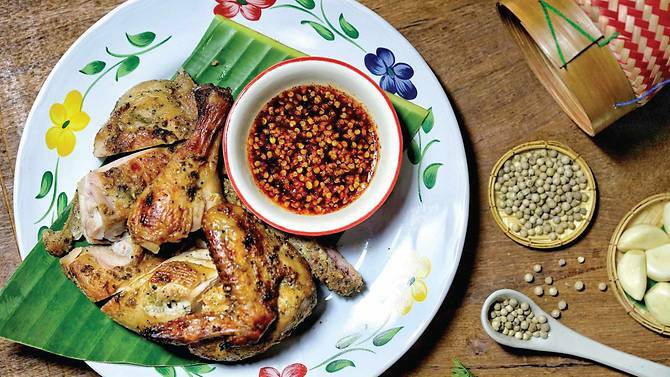 This year’s festival will showcase 24 dishes from 8 Thai restaurants in Singapore – Aroy Dee, Bangkok Jam, Baan Ying, Gin Khao, Little Elephant, Long Chim, Tamarind Hill, and Un-Yang-Kor-Dai. But in a sea of 24 signature Thai dishes, I’ve singled out the ones that you NEED to go for because OH MY GOD they’re good. 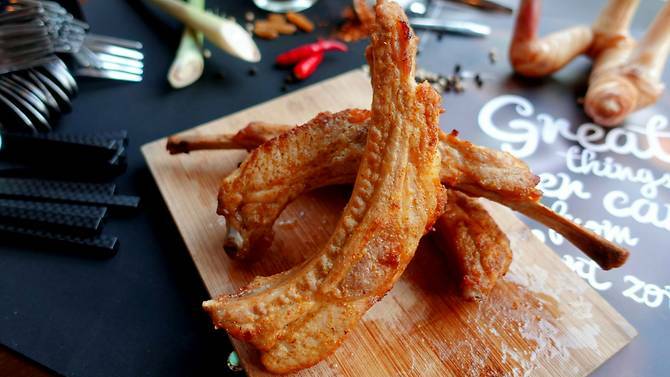 You know when you order premium Bak Kut Teh, and they serve a HUGE rib bone in a tiny bowl? This is that, but instead of it cooked in a peppery broth, the prime rib here is simply fried enough to keep it juicy and served with Aroy Dee’s signature sauce. When we saw this, I was VERY confused, to say the least. I mean, Pineapple Fried Rice took a while for my tastebuds to grapple with. Then Gin Khao decides to take things to another level with their Watermelon Fried Rice. 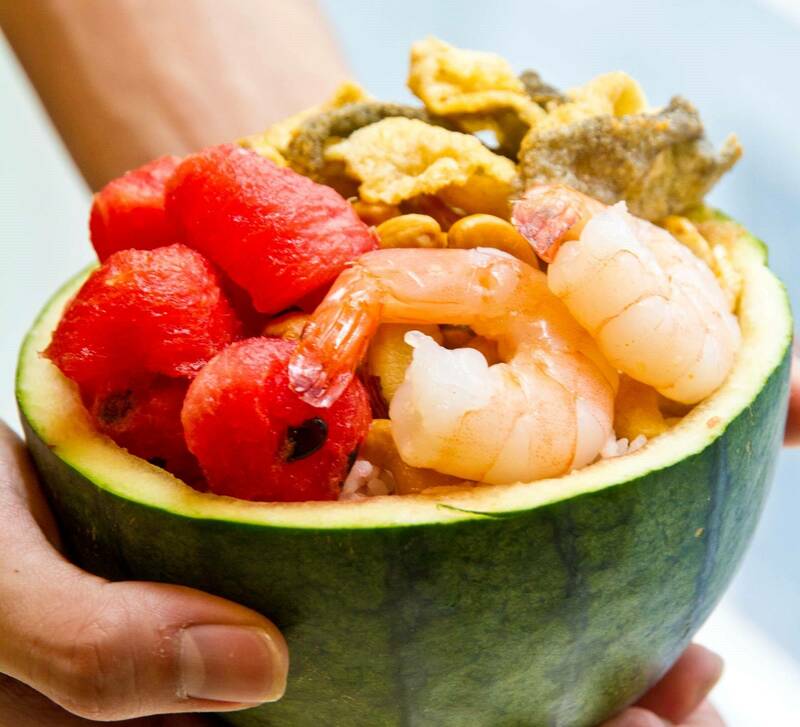 And it’s quite loaded – it comes with salted egg fish skin, nuts, floss, and watermelon cubes (of course). If you’re looking to expand your food horizons, then you need to try this. This dish is almost like a deconstructed dragon beard roll that’s traditionally found in dim sum menus. Prawns and a crispy fried strands of carb. This combination has proven to work, and this is no exception. While this dish sounds simple, it’s packing a lot of flavour. Pork neck is a cut of meat that’s evenly marbled and is never dry. Grilling is one of the more common cooking methods for pork neck and it’s a simple way to bring out the flavour and texture of the cut of meat. If you want something easy to eat, this is it. Don’t forget to dip it with their chilli sauce! This dish is a classic recipe from the city of Khao Yai in Thailand. 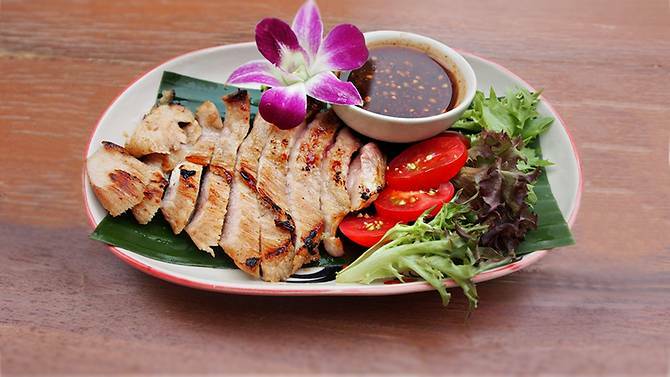 Half a chicken is marinated with coriander and white peppercorns before being grilled to perfection. So simple yet so good. Plus, it’s healthier if the chicken isn’t fried, right? *wink* Now excuse me while I enjoy my healthy grilled chicken. Of course, other than the food, you can expect entertainment in the form of musical performances by cover bands, O.K Ready! and 53A. Watch 53A perform at the National Day Parade 2016 below. 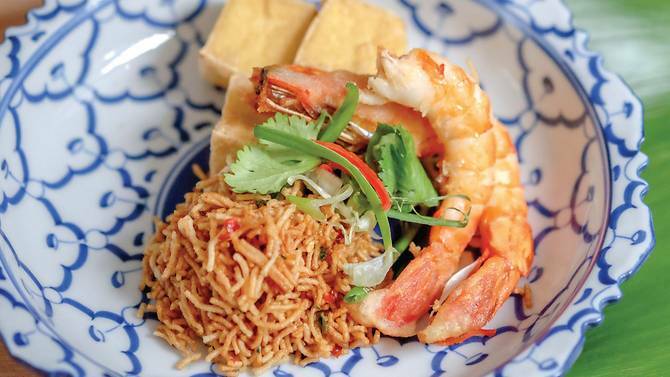 So if you’re in the mood for some authentic Thai food, there’s no need to travel all the way to Bangkok. 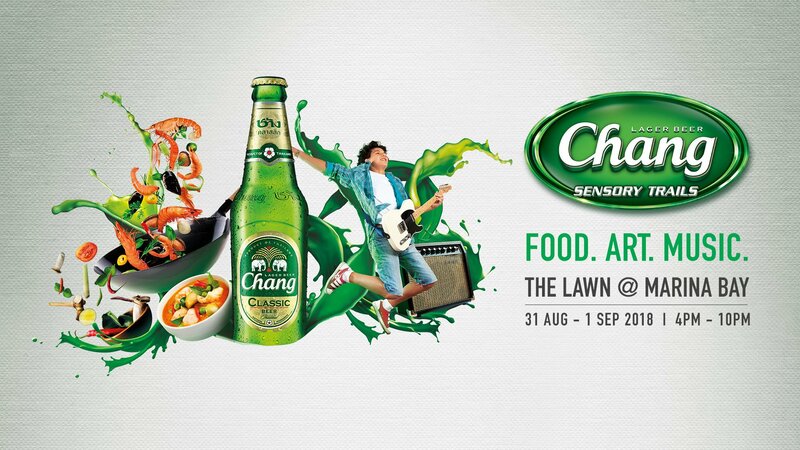 See you at the Chang Sensory Trails Food Festival!